So far Ente Publicidad has created 28 blog entries. 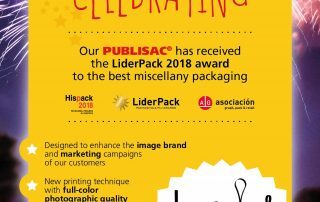 Our PUBLISAC® has received the LiderPack 2018 Award to the best miscellany packaging. 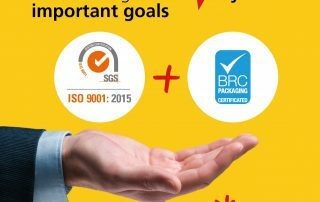 Please do not hesitate to ask us for more information. 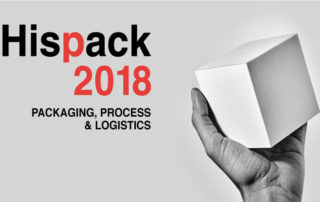 We are pleased to announce that we will be attending HISPACK 2018, the professional trade show for packaging, processes and logistics. 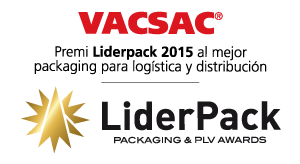 We will be at STAND 562, Hall 2, Level 0, Row E from May 8 to 11 at the Gran Vía complex of Fira Barcelona. 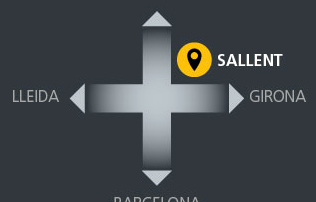 New premises located in the municipality of SALLENT. 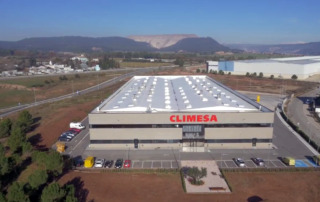 The CASTELLGALÍ plant ceased operations on October 30, 2015, including unloading of materials. 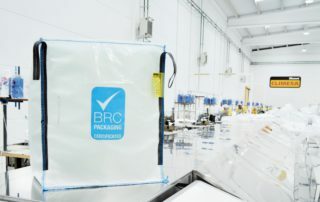 Central administration and commercial services will remain at our offices in Barcelona city, as well as the preexisting production unit.